Women, are you in an unequally-yoked marriage? Are you tired of attending church alone? Do you yearn for a relationship with your husband that’s spiritually satisfying? You can influence your home for Christ even within a spiritually mismatched marriage. Your mission, if you choose to accept it, is to stand in the gap for your mate’s soul. 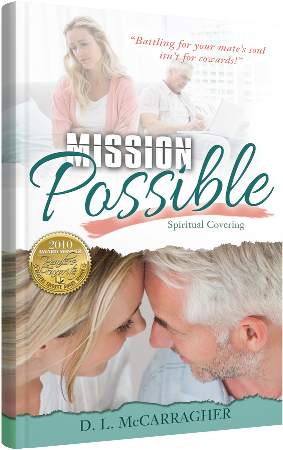 Mission Possible is a powerful toolfor any woman who is married to a man who does not share her passion for Jesus. Every woman knows someone who is struggling with this in their marriage. This "life changing" book is one you will not want to put down... The “mission” is one in which you, the reader, will join one woman's quest to reach her husband for Christ.